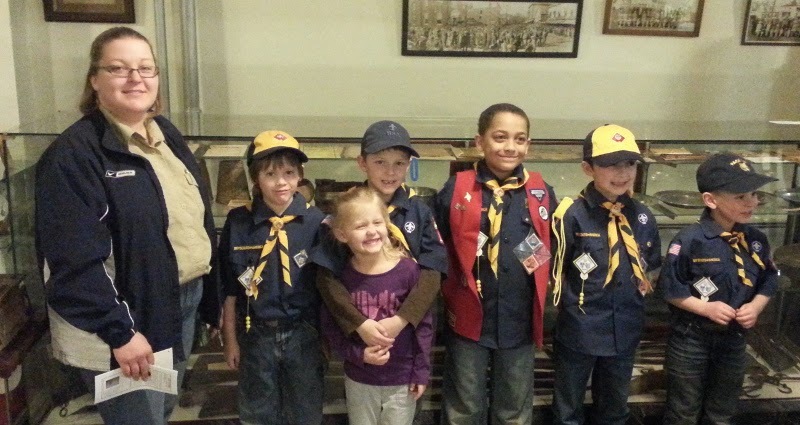 Pack 188 Wolf Den Leader ,Dawn, and her den of second grade Wolves at the Henry Wilson Museum. 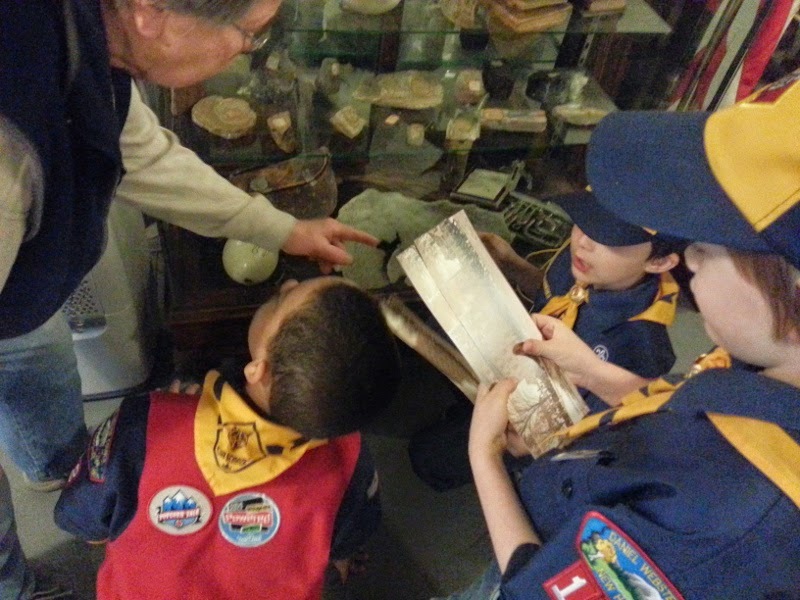 Wolf den of Pack 188 in Farmington recently visited the Henry Wilson Museum for a tour guided by Historical Society members. Led by Pack Leader, Dawn Shockley, the group of 7 wolves, who are all in the second grade, meet weekly from September to May and work on 12 achievement areas to earn their Wolf badge in mid-May. One of the achievement areas is “Know you home and community”. For this achievement the boys have made a list of emergency phone numbers, explained what to do if a stranger comes to the door, explain what to do when someone calls on the phone, explain what to do when leaving the house, complete a one month chore chart and lastly visit a historic place in the community. Additionally the boys have been working on their collecting belt loop. The requirements for this achievement are to begin a collection of at least 10 items, present collection to the den, and lastly visit a museum that displays different collections. 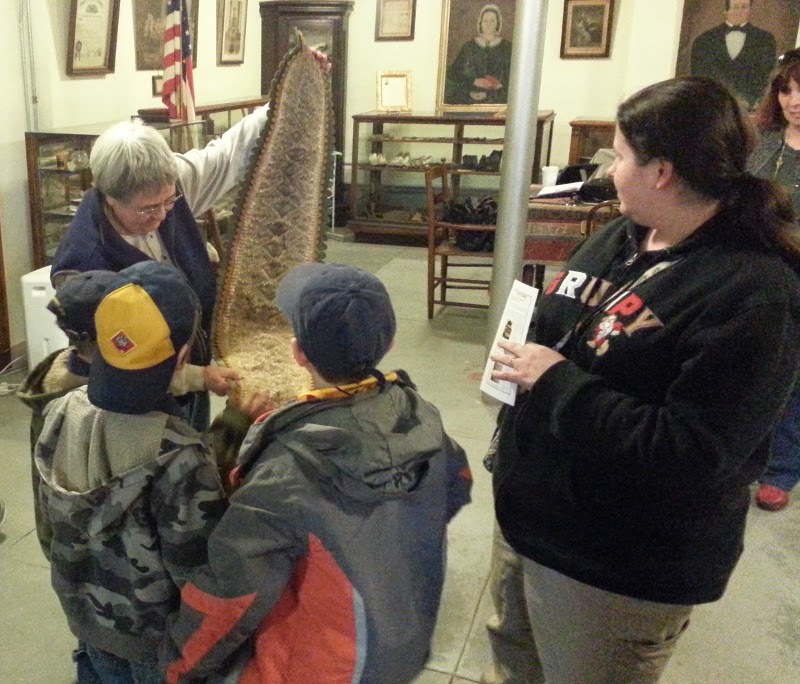 Through their visit the pack learned about some of the history of Farmington and why preserving history is important. 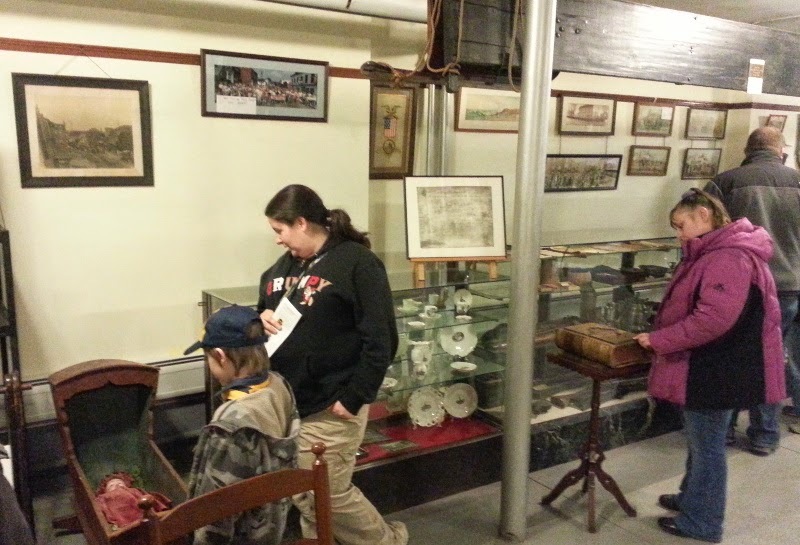 The wolves had several questions for the Historical Society members, some of which were very challenging and all were interesting and engaging. The pack wanted to know about how museums acquire their objects, how they are preserved, who decides what we do get and preserve, how old the objects were, and what functions some of the objects had. 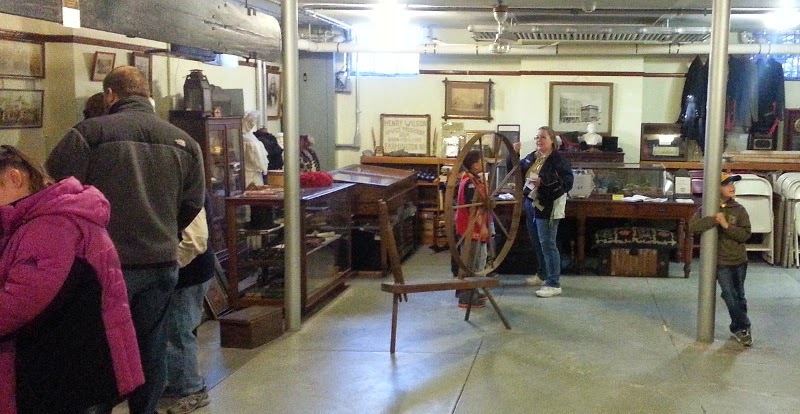 President Jim Horgan; Vice President, Dottie Bean; Curator, Kyle Leach; and Public Relations Co-Chairs, JoAnn Doke and Stan Freeda were on hand to talk to the Den members, answer their questions, and give the tour. Wolves in attendance were Max, Mateus, Donovan, Damian, Drake, Jamison, and Ethan. Some parents of the young wolves also attended the visitation. The group enjoyed looking around and looking in the cases. It was a general consensus that the antique dolls were scary looking. Everyone loves the rattlesnake skin! It's always a crowd pleaser!